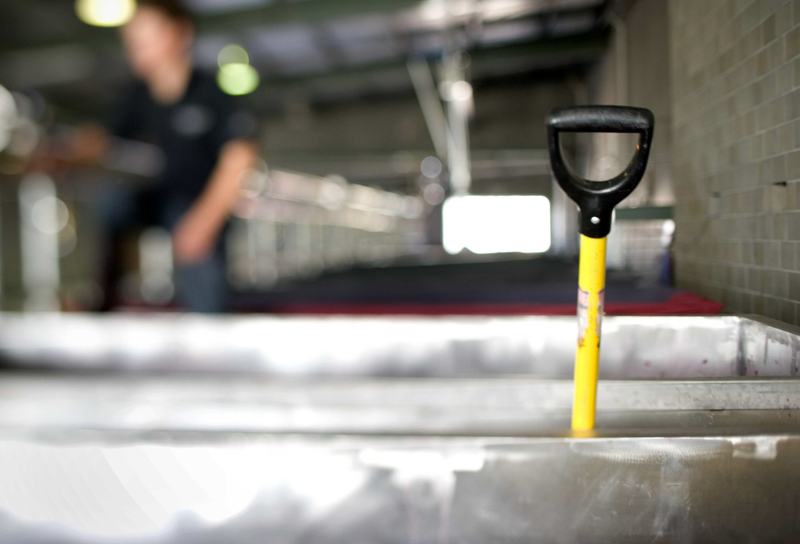 The first and only press for Vintage 2015 is done and dusted! 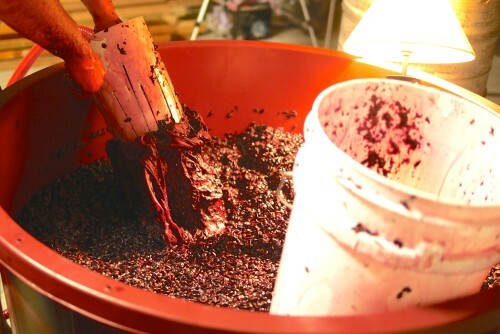 The Filthy Good Vino Bathtub Winemaking Cabernet was squished a few weeks ago, after 24 days on skins. The perfume and earthiness I was looking for have arrived. The texture has lengthened, developed beautifully and is looking good. It’s been 10 years between Vintages. Winemaking again has brought delight and pleasure, not just for me, for everyone involved in the project. The garage has been lit up with smiles, laughter, shared magnums of Filth, just a whole lot of fun! 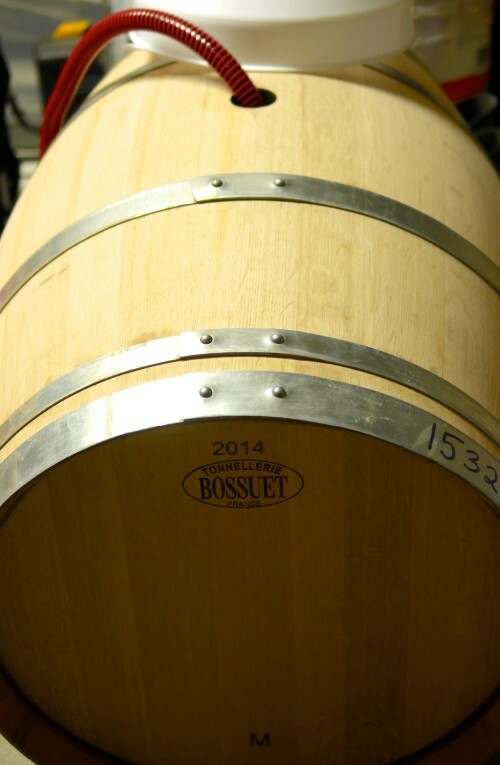 By the time this post is published the wine will be resting safely in barrel, to begin it’s long journey to the bottle. 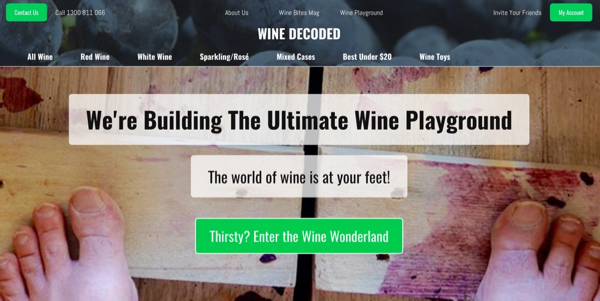 The Filthy Good Vino Bathtub Winemaking Project will return in 2016! We’ve had so much fun playing with grapes and friends that we could resist doing it all again. If you’re interested in joining us, hit me up via the Contact Page and I’ll get in touch when we start preparing for more action in the garage! Check out the smiles, laughs and all the action from our day pressing! Read on to find out more about pressing. Pressing is another chance to guide a wine. How fast do you press? How much pressure to you apply? All of these factors can impact the extraction of particularly tannins from the skins and dramatically impact the texture of the final wine. Press too fast, too hard and you risk extracting bitter, hard tannins. Free Run: The liquid you can drain out of the vat full of skins and seeds without doing any squashing. 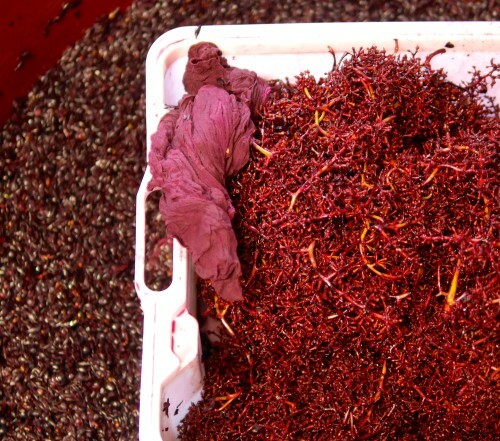 Pressings: The liquid extracted by applying pressure to the grape skins using a press. Sometimes these are separated further into first and second pressings. 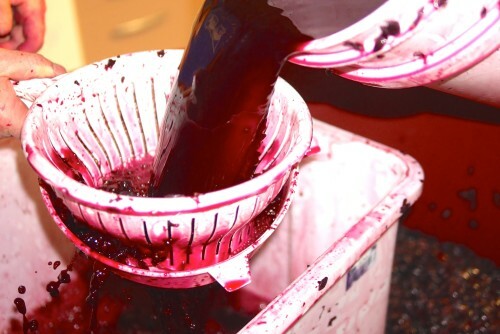 Throughout the pressing process we constantly taste the wine coming from the press. 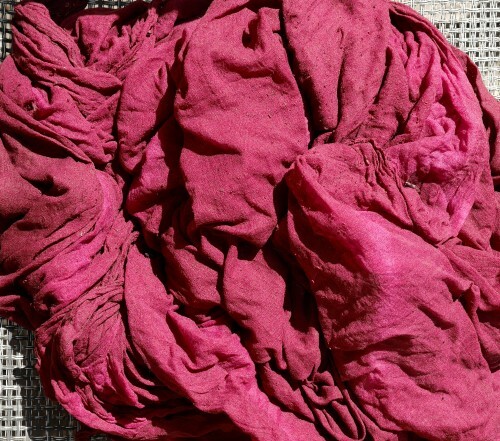 In the Yarra Valley the tannins tend to be pretty supple, particularly using a basket press. In general the pressings are mixed straight back into the free run. Ours went straight back in adding to the structure and texture of the wine & it’s overall yumminess! 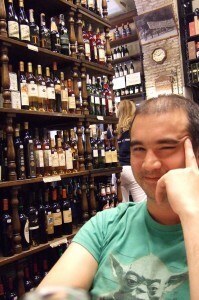 In some regions tannins from pressings can be hard, sappy and bitter and need to be kept separate from the free run. Think McLaren Vale. Vintage Lunch Went Back to Basics! Fuel for the pressing of the Filthy Good Vino Bathtub Cabernet. Fish, chips, a dimmi & bottle of Chardonnay. Good Friday lunch break. Another Ghetto Winemaking solution! Cable ties & duct tape are a winemaker’s best friends! 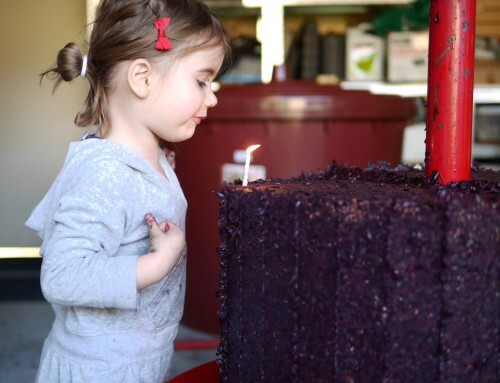 When G heard us saying the Cake looked amazing she assumed we meant birthday cake, not, cake from pressing the Filthy Good Vino Bathtub Winemaking Projects Cabernet. So we put a candle in it & sang happy birthday …. 4 times! Vintage is almost upon us! The first grapes for the Filthy Good Vino Bathtub Winemaking Project are about to be picked! It’s an incredibly early season. The last time I picked Cabernet in the Yarra Valley was at Yarra Yering in 2003. We started picking on the 10th of March. Yarra Yering always picked at least a couple of weeks earlier than everyone else. In 2015 we’ll pick on the 4th of March. Yields are low and flavours look good. 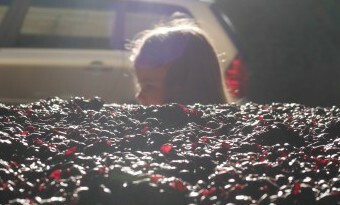 Check out this beautiful 100g bunch of Yarra Valley Cabernet for the Filthy Good Vino Bathtub Winemaking Project! Nice small berries, tannin is so close to ready! 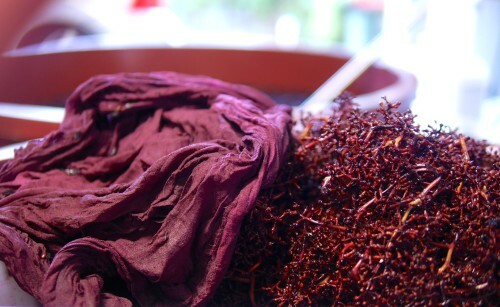 A 150g bunch of YV Merlot! Notice how much more open the bunch structure is. Softer, floppies stalks. Bigger berries, riper tannin than the Cabernet, perhaps over ripe! Yielding higher at 3.5+ tonnes/acre. We won’t be taking this fruit it’s lost it’s natural acid and freshness due to exposure to the hot afternoon sun. Dissected Berry Close-up! Cabernet on top, Merlot at Bottom. Notice the general darker, browner seed colour of the Merlot. Crunching on them the tannin is riper than the slightly greener seeds of the Cabernet. You can see the clear flesh of the grape, all the colour & tannin being held in the skins will be extracted during fermentation. 9 Merlot Berries in varying States of Health! 3 Healthy ones on the left, lovely blue colour, a nice bloom, the frosty looking skin. It was rubbed off a bit by my handling the berries. The 3 berries in the middle are scorched by afternoon sun from the West. Without a canopy to protect them the sun has bleached them, note the browner more transparent skin. These berries have less acid and flavours are thinner and a bit cooked, lacking the freshness of the 1st 3 berries. The 3 berries on the right are the next progression caused by sun exposure and have shrivelled to varying degrees, just like dried sultanas. The sugars in these are difficult to extract during ferment. The preference would be to sort fruit to remove berries like those in the last two columns. Measuring sugar levels in the Cabernet. 12.4Baumé should give a final alcohol around 13.6% Nice to know. 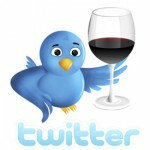 The most important factors are flavour & tannin ripeness. These babies are ready to pick! Had to go Ghetto and use a bottle instead of a measuring cylinder to float the hydrometer in! Juice tasting time! Merlot & bunch stalk on left, Cabernet on right! Stalks have an incredible spice about them that. I like to throw a few in the ferment to layer in some yumminess! Juices tasting good. Same sugar levels, better acid and flavours in the Cab. It’s go time! Let’s do this!